Let’s get this straight. The so-called “secrecy” shrouding certain costs involved in the operation of the government’s latest grand dream called Samoa Airways should not be there at all. We say this because from where we stand, when Prime Minister Tuilaepa Sa’ilele Malielegaoi launched the airline at the beginning of November last year, there was nothing secret about its intentions and what it set out to do. As far as we know, the airline exists to serve people of Samoa and improve the country’s economic prospects in terms of tourism and other related sectors. “Today is a special occasion to celebrate and showcase what a small island like Samoa can do once we focus on what is important to us as a nation,” Tuilaepa said at the launch of the airline. Well that’s fantastic, who wouldn’t be excited about that? But easier said than done. That’s why Prime Minister Tuilaepa then challenged the Samoa Airways management to prove itself as a self-sustaining business. Tuilaepa has a point. As patriotic Samoans, we all want this airline to work. But that brings us back to the question about some of the initial costs in running the airline and how sustainable these costs are in terms of looking at the future. Take for example claims from inside sources that the airline is paying up to “US$500,000” (T$1.25million) a fortnight to lease the aircraft. By any estimation, that is ridiculously expensive, especially for a small airline. Could the government not find a cheaper option? And how do we know we are not being taken for a ride, just as Tuilaepa had said about previous business dealings the government had entered in terms of running airlines? As ears and eyes of the public, these are legitimate questions the media exists to ask and demand answers for, especially from a state-owned business. 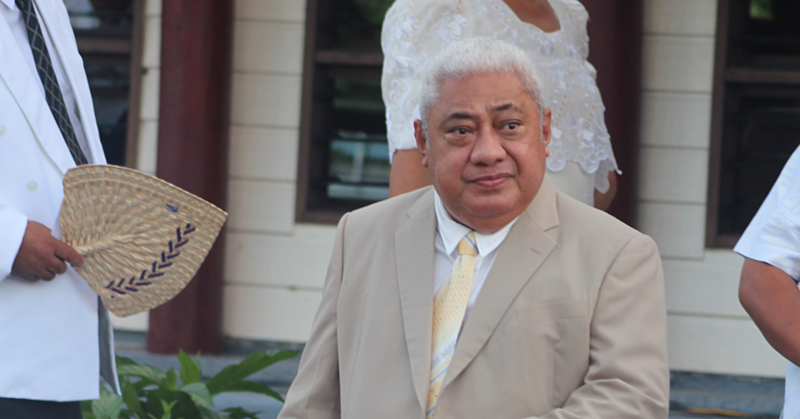 But two weeks ago, Prime Minister Tuilaepa, after directing the Samoa Observer to refer queries to the Chief Executive Officer of Samoa Airways, Seiuli Alvin Tuala, changed his tune. “These are commercial secrets, it cannot be revealed,” he said. Now hang on here. Let’s remind that Samoa Airways was not created and funded by taxpayers to go into the business of keeping secrets from the public. Let’s not forget that the ruling Human Rights Protection Party has been ruling Samoa for about 40 years and throughout all that time, they have been proudly gloating about transparency, accountability and good governance. What is so secretive about the cost of hiring an aircraft? As far as we are concerned, it only becomes a secret when there is something they are trying to hide. Could that be the case? By the way, why should we ask “any airline companies” in the world? As taxpayers we are demanding answers from Samoa’s very own airline. What is so hard about that? Which is why the Samoa Observer reporter put it back to the Prime Minister that Samoa Airways is government-owned and that members of the public deserve to know the truth? But he wouldn’t budge. “These are commercial secrets, it cannot be revealed,” he responded. In this day and age of modern technology, anyone can easily look up how much it costs to lease an aircraft. Since this story emerged, many readers of this newspaper have done that and we can tell you that the amount Samoa Airways is paying is exorbitant to say the least. This is why we are concerned. It is also why we want Samoa Airways to proceed with caution. Well, the history of the government when it comes to airlines isn’t exactly the best. Many of us know that and the story of the old Polynesian Airlines is a classic example. It is paramount therefore that the government gets it right this time around otherwise we are only looking at Polynesian Airlines episode II with a lot more disastrous consequences given the volatile economic climate of today. Interestingly at the launch, Prime Minister Tuilaepa revisited the past. He said: “In hindsight, we should never have entered into a joint venture in the first place. “Twice we did it with Ansett and later with Virgin – both Australian airlines - and the results were disappointing. So important lessons have been learnt. “This is indeed a momentous occasion and this development is one that our country needs and should have done a long time ago. 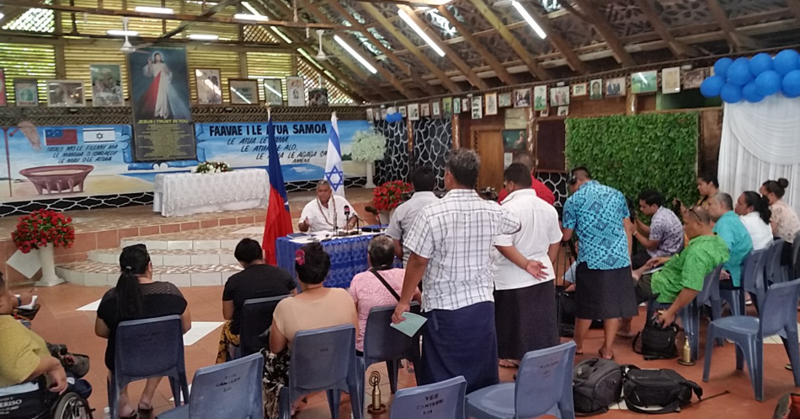 “You look around our region from Solomon Islands to Vanuatu, Kiribati, Tahiti to Fiji – our neighbours have their own national airlines and they have maintained their airlines successfully and comfortably. Perhaps Prime Tuilaepa should listen to himself and what he is saying. We’d like to believe that the officials running Samoa Airways are not “idiots” and they know what they are doing. In this case, all they need to do is tell the public the truth and that’s the end of the matter. This, after all, is what accountability, transparency and good governance the government has been advocating, is all about.